I don't trust doctor's ideas of "mood-altering pills" and anxiety medication. Yeah, it very well may help me, I get that. But I would rather learn how to deal with life and it's struggles and be happy with the aid of a medicinally-proven plant, than be addicted to mood-altering pills. Until we had children, I didn't know what "struggle" or "being poor" really was. Oh it's humbling! "Well Laurie, if you're so poor, how can you afford marijuana..." Ummm... because it's like $50 per month to have a better mental state of mind morning and evening. So yep. I'm going to say it's worth it. I hope to someday not be poor'ish, but until then, I'm going to share what helps me stay sane, in a world that makes it kinda hard to. I hope someday I can be so joyous and thrilled at life that I jump out of bed as happy as a clam and don't need a puff. Sometimes I have those days, and they're great. But more often than not, I need help. Cannabis is my help, and I promise, I think it can make a world of difference for anyone. If you're on the fence, keep reading and educating yourself about the benefits and then decide what's right for you. We have suffered through this economy of a depleted job market for the past four years. It's no longer easy enough to make it on just one income. I've changed as a person in so many ways, one of the most important -- having this sheer empathy and understanding of what poverty and hunger can do and what it's like for people. And for those who never know, the empathy never will really be there. You learn later in life that actually, no one cares about you...unless you're really lucky. You learn that others have their own lives and problems and not really that much time for anything else. Mj helps me see that what I need to do is try to help someone else. I can't ignore the stories in the news of parents abusing their children. I read some articles about parents who have lived through wars in Cambodia, they were so depressed and suffering from PTSD afterwards they let their own children starve, because they gave up on themselves and life in general. The psychologists ask questions of these people to try and understand why. They don't judge them, they just want to understand and try to help someone else in the future to not experience that. It takes (for some, like myself) a lot of patience and hard work to show my children/family kindness no matter what worries and hardships I am going through internally. Sometimes I get so stressed out I am more apt to want to fly off the handle and just rush through things because I have more "pressing matters" at hand to deal with. But really, I just need calm.. I need to know that no matter how poor we are right now, first off, things will get better eventually. And second, this right now is our moment, our life, and we will never get it back. I don't want to be one of those stressed-out, smacks-their-kids-around, yells-at-everyone parents. I just don't want to. Last week I got a speeding ticket driving home with my daughter. Of course. I kept pushing it out of my mind, thinking, I can't deal with this today I'll think about it tomorrow. And then that problem compiles with my other problems and it makes it hard to get through the day. It's the smallest things that can sometimes just mentally push me over the edge. How can I let life knock me down to the point where a speeding ticket takes away my ability to have a peaceful day; but it does. So I try to figure out how I can counteract the overwhelmingly negative and anxiety-filled emotions that I am almost pre-conditioned to feel..
How can I survive these hard years while still being a good person, still having a purpose and being happy..? For me it's a work in progress. But the reason I made this blog was to share with others the benefits mentally that cannabis allows you to have. I never thought I'd be a parent who has to work on being patient... I thought I would just be patient. Now, maybe being extremely rich would allow me to be extremely patient, I don't know. But I'm pretty sure I'd better figure out some ways to steer clear of being labeled a "bad parent" down the road by my kids for being stressed out. It's not what I say or do that they'll remember, it's how I make them feel. My natural tendency in this day-in-age is to be overwhelmed, filled with anxiety a good half of my day while the other half I just try to do things that are mind-numbing or productive enough to feel like a real person. I don't know exactly what I expected motherhood to be, but when you're poor'ish, motherhood can be really tough and it's hard to be happy all the time. When I turned 30, I really thought I would have "life together," but I don't. And I'm told by others older than me that it's a continual work in progress - a "together life." I know I'm genuinely working on making our lives better, not worse, so I guess I can be proud of that. Weed isn't going to fix problems without some work also. And if you live in a state where it isn't legal, I'd steer clear until it is or you could face a whole new set of problems. But I do believe cannabis gives you the ability to deal with your problems in a more open-minded, thoughtful, honest way. I can say that for me, weed takes anxiety attacks out of my life while still allowing me to function completely normal, in a way that is actually calmer and more patient. Instead of looking at the mess my kid just made on the floor with crayons and thinking "Why Me?!" I look at this little person and realize how fleeting time is, and how one day I will miss this, so I'd better enjoy it. But it's the weed that does it, not me. My personality wants to be overzealous and hurried and overwhelmed with our struggles. Weed comes in and zaps my brain to just make my brain realize: "Be grateful things aren't worse. Maybe you don't have enough money but at least you have some. Maybe there is a leak in the ceiling but at least there's a ceiling. Maybe life is hard, but it's harder for others. Maybe your toddler is annoying you right now, but be thankful you have a toddler and enjoy it while you can." There are all sorts of things one can get down about in life, I get it, I really do. And I know it's hard sometimes to be positive and try for better... but I would just say this: Think about how you speak about your families' previous generations... and consider how you will one day be spoken about. Obviously I can't speak for all parents, and some may need actual medication or counseling or help with issues more than just the "typical American work day" anxieties. I'm talking to those who are simply trying their best, but face some pretty stressful and unknowing times. I'm talking to those who just wish they could live a simpler, happy, fulfilling life without drugs and alcohol, but still need something to help take the edge off. I'm saying...Google and look for the modern ideas involving Cannabis and see for yourself. 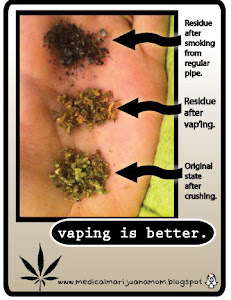 Each person's preference of vaporizing varies. Much like computers, there are two types available: desktop (plug-in) and portable. And just like computers, there are numerous options and upgrades available. Average price range is anywhere from $100-$300, and can go upwards as high as $800 (Minivap). If you're just starting out, I'll list a few popular options below with the price ranges. I have been vaping for the past few years with two great plug-in vaporizers- "Da Buddha" and the "Silver Surfer." Besides the amazing health benefits of vaping, saving money is automatic by using significantly less Mj than with traditional smoking. On average expect to use only half the amount that you would with traditional smoking. I know it can seem like a lot of money upfront for a vaporizer, but trust me, it's so worth it. From one 420'er to another... get a vaporizer. The overall benefits far outweigh the initial investment. Invest in you..your health..your quality of life. When you vaporize MJ, you will see a soft, white "vapor-like cloud" of fluff, the same that you might see from a humidifier... instead of the burning smoke from traditional pipes and papers. The smell from vaporizing is really quite minimal compared to traditional smoking, and keeps your clothes and home smelling fresh. Keep a can of Febreze spray by the door and if guests come by unannounced, spray a bit and (at least in our experience) they shouldn't be able to tell there is Mj in the house. I don't think you'll get the same assurance from smokin' a dubie. As a matter of fact, my hubby and I had a recent toke of a joint in celebration with some friends, and afterwards, I felt kinda gross and I just couldn't wait to take a shower to get the smell out of my hair. It was fun but I could not see myself ever going back to traditional smoking over vaping. I personally use and like "Da Buddha". It's one of the least expensive vaporizers on the market, nice-looking and does it's job well. I have not had to replace a bulb or anything internal so far; after having it a few years already. I did drop the glass mouthpiece and replaced it for around $20. 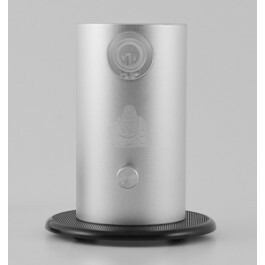 Da Buddha is fairly simple for anybody to use, small enough to store easily, and a breeze to keep clean. A great overall vaporizer if you're starting out and don't want to spend a fortune. It also features cool add-ons like an aromatherapy bowl ($25) or hands-free kit ($29). 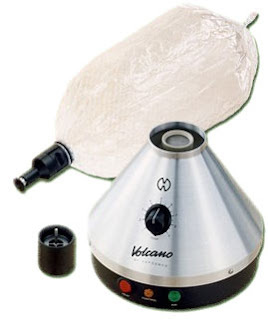 Forced-air vaporizers like the Volcano Vaporizer utilize an internal fan that propels hot air over the MJ, creating a steady stream of vapor that is typically collected in a balloon bag for inhalation (balloon bags must be replaced after 75-100 uses). There are 2 models - classic or digital. The classic offers a dial allowing you to select the heat adjustment (a fairly common choice in the vape world) while the digital offers a temperature selection between 104 and 446 degree on a manual dial. Many people use dials and like them just fine compared to digital. Considered "higher-end" because of their efficiency, Volcanos boast automatic shut off and intensifies the effects of the active ingredients released through the vapor by 75 percent. One reviewer said "Well built and runs smooth. It is like having an AMG in the driveway." Despite the hefty price tag, the health benefits are worth looking into. Comes with a 3 year warranty. This unit is definitely a bit complex, for more info, Download full instructions here. Vapor Genies are a portable option ideal for camping trips, when you won't have access to an outlet or batteries, or prefer using butane lighters. 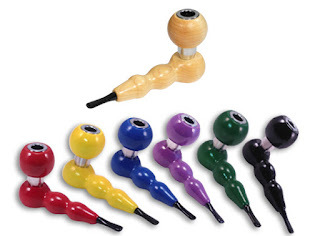 Great for on-the-go, designed as a tobacco pipe, and plenty durable. Bit of a learning curve to get the vaping down, but you won't have to worry about batteries or trying to find an outlet. Tip: Don't inhale the flame down the carbon area on top. Keep it hovering as if you were "warming your hands over an open fire," and let the vape come slowly. The ceramic filter is said to not burn, fracture or deteriorate, and never need replacing. Palm Vaporizers are quite popular, less expensive than most and work great. 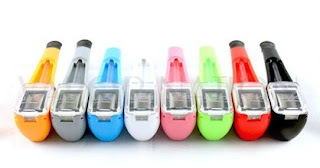 They feature a quick heat up time (less than 5 seconds), 2 rechargeable batteries, multiple color choices, and vape temps between 350 and 375 degrees. The battery lasts about 20-30 minutes of full use before needing recharging. As long as you don't forget to bring along extras (which is kind of annoying, but doable). Discreet, easy to carry in your pocket and offer a lifetime warranty on the unit (batteries-3 month warranty). Very popular Iolite Portable 2.0 is a breeze to use. I love this one. 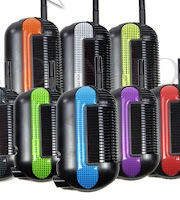 Available in an array of colors to fit your style and does not require flames, cords, wires or batteries. Small and discreet unit. Allows you to vaporize anytime, anywhere in less than 40 seconds. This is great to use in public places, or that long family gathering when you need to step outside for a break. Holds enough butane to last for 30 minutes of continuous use. Ideal for all users whether a light or heavy user. Simple to use. 2 year warranty. To use a grinder - Place a few MJ nuggets in the top area, place lid down, grind section middle back and forth like a salt shaker, and presto - evenly shredded bliss. 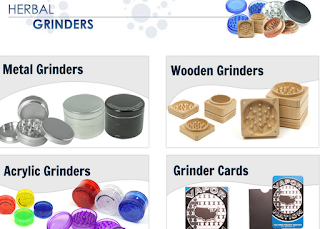 You'll be using your grinder hopefully every time you vaporize, so you want one that will be durable. I would recommend metal or wooden for durability and ease of use, and stay away from the plastics. 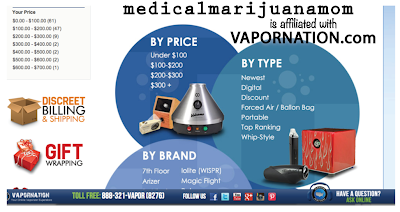 a terrific website with every vaporizer imaginable! 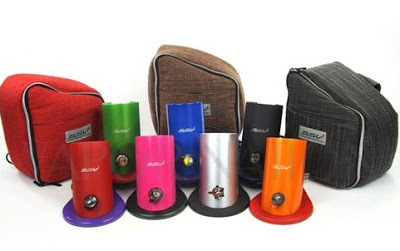 If you have a recommendation for your favorite vaporizer, leave a comment or Google+! I'm a mom, and I smoke weed. I'm a mom. I also have a Medical Marijuana card. I believe in the simplicity of Marijuana because it is a PLANT, grown from the earth. I believe the good Lord gave us Marijuana to help get through the aches and pains of life with a higher, natural quality of life. My hope is a place for moms (whether for recreation or medical purposes) can come together and grab info, stories, support, advice, quotes, etc. 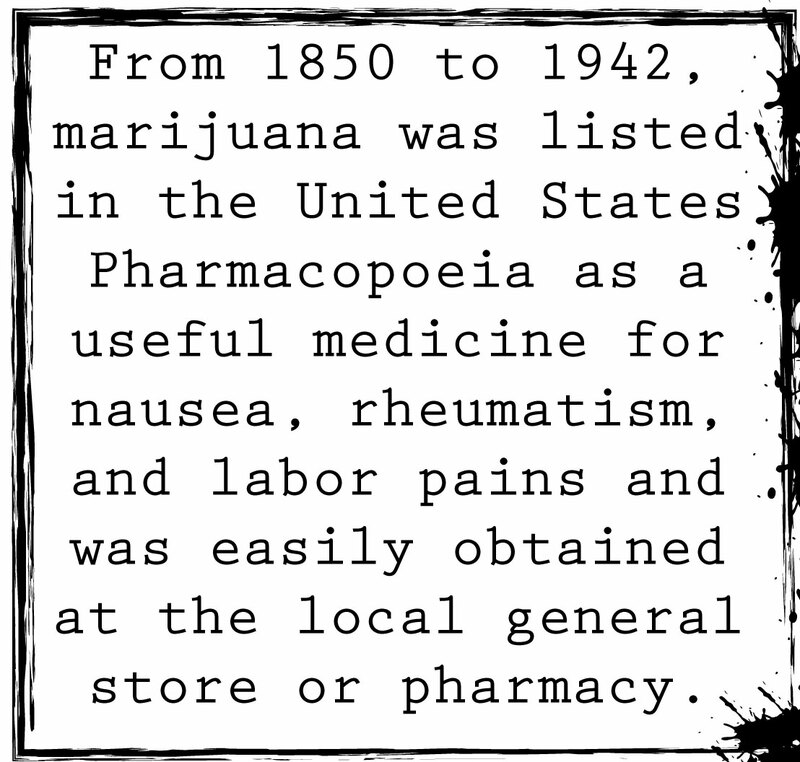 "From 1850 to 1942, marijuana was listed in the United States Pharmacopoeia as a useful medicine for nausea, rheumatism, and labor pains and was easily obtained at the local general store or pharmacy. 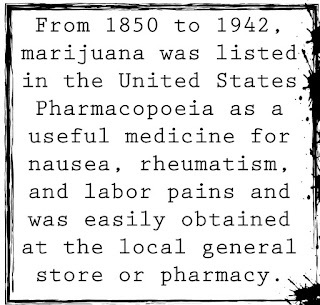 Marijuana was first severely restricted as a recreational and medicinal drug in the U.S. by the Marihuana Tax Act of 1937. The law did not prohibit marijuana use but imposed such a heavy tax that legal sale and use became nearly impossible" (Booth, 2003). I first read of Dr. Melanie Dreher's studies of moms who smoke marijuana in Jamaica-"Arguably the study most often cited on the subject is Dr. Dreher's work from Jamaica which examined the birth weights and early development of babies exposed to cannabis compared to non-exposed infants." The study can be found here. 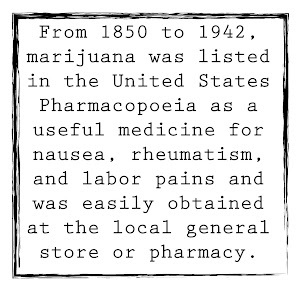 Do most people KNOW that marijuana was listed as a "USEFUL MEDICINE to help nausea and labor pains" in the United States until 1942? Why is it illegal now? A heavy tax law in 1937 made the legal sale nearly impossible, and according to the U.S. Office of National Drug Control Policy (2009), MJ was made illegal in 1970 under the Controlled Substances Act, listing marijuana as a "high potential for abuse and no acceptable medical use." I believe the devil wanted it out of the hands of the people who believed in true peace within themselves and this Earth. I could be wrong, sure. But those of us who only 420 and know Jesus...well there's something about Mj that leads us to Him. "Current supporters of medical marijuana believe the drug has significant medical value for patients who suffer from AIDS, glaucoma, cancer, multiple sclerosis, epilepsy, and chronic pain. Several studies have been published to support and document this belief" (Chapkiss & Webb, 2008). I should also state that I don't always smoke marijuana in a typical fashion. I "smoke" with a vaporizer. Vaporizing/Vaping is much healthier and a more natural way to get THC if you can manage the initial investment ($100-$200) for a good vaporizer. When vaporizing you're not burning the plant to inhale, so carcinogens are diminished 80-90%. Vaping also saves money because you need far less and your Mj will last longer. When you traditionally smoke it burns up and depletes rapidly. In the photo on the right, you can see the middle section is "vaporized Mj" and is not as drastically changed from it's original state. "Designed to reduce your consumption while receiving the same effects! Vaporizing can cut the tar and carcinogens up to 80%-90%. Think what that can do for your health? Da Buddha™ Herbal Vaporizer-Electric Candle will save you money! Its just that simple. 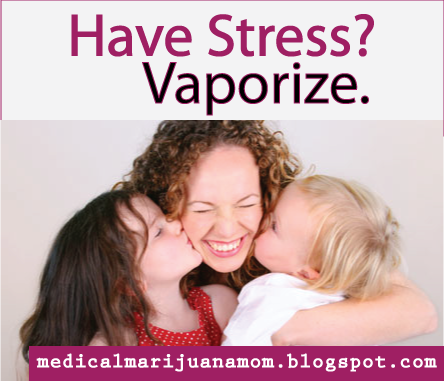 You will vaporize 1/3 to 1/2 of what you currently smoke now. This is not bull, its real. Combustion destroys around 50%-60% of the active ingredients. 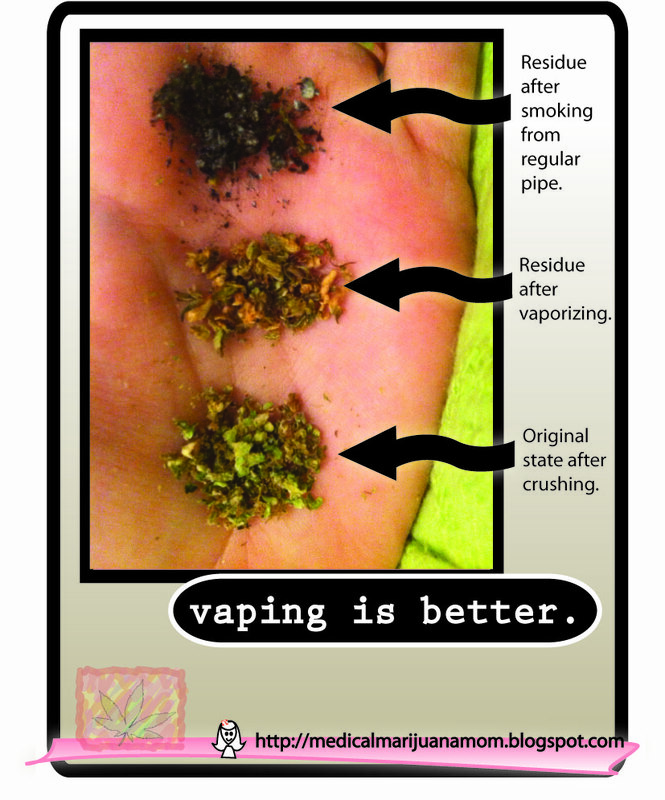 Because vaporizing does not do this, it's like having twice as much tobacco!" We found Mj helped with increasing and maintaining a healthy appetite, keeping nausea away, and helping to unwind and relax. I felt better. I felt happier. Marijuana is a life-helper I think in a lot of respects. It's also inexpensive. Depending on the quality, can cost anywhere from $50-$100 per month. 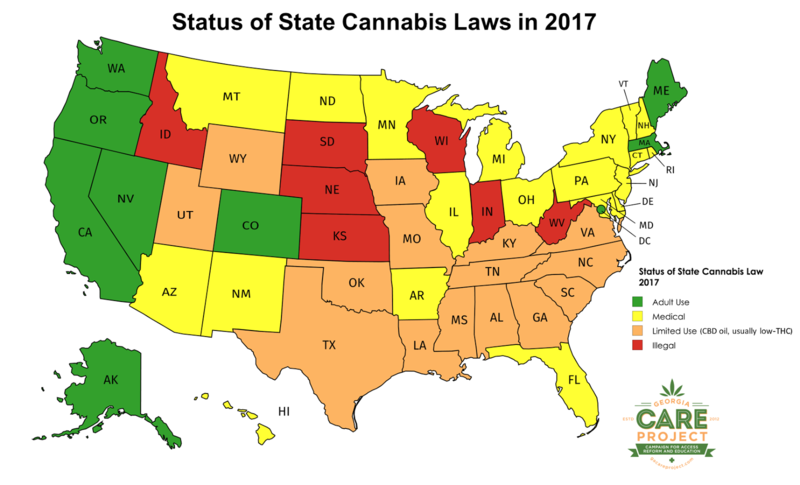 It costs even less to grow it, which many states have now legalized (2017). I know many find a great appeal in alcohol. It makes "things fun." But, does it? Don't most women usually get super depressed, call their ex or mom or best friend sobbing about life... and men just get into accidents or fights, or depression? "During the temperance movement of the 1890s, marijuana was commonly recommended as a substitute for alcohol. The reason for this was that use of marijuana did not lead to domestic violence while alcohol abuse did"
MJ is not addictive and has no withdrawal symptoms. You would miss it as you might miss a morning cup of coffee. "The psychoactive side effects of THC in small doses include loss of inhibition, elation, and a distorted sense of time. (Marijuana) can also cause increased visual sensitivity and heightened imagination" (Booth, Cannabis: A History, 2003). Heightened imagination!?? Oh no!!! "Elation?!" Sounds awful. It's not easy being a mom. Being a mom is a wonderful and very important full-time choice. Being responsible for little HUMAN BEINGS... it can get stressful. Everyone has their history, their own trials in life. Most of us moms share a common goal - to get these little people through this unpredictable life as safely and lovingly as possible. "I'm not getting all crazy, hanging out of limo sun roofs, smoking weed off of hookers... I tend to ride out my buzz by giggling with my family, eating dinner, doing the dishes, putting the baby to bed and watching an episode of Friday Night Lights." Abel, Ernest L. 1980. Marijuana: The First Twelve Thousand Years. New York, NY: Plenum Press. Booth, Martin. 2003. Cannabis: A History. London, England: Doubleday. Chapkis, Wendy and Richard Webb. 2008. Dying to Get High: Marijuana as Medicine. New York, NY: New York University Press. U.S. Office of National Drug Control Policy. “Marijuana Facts & Figures.” Accessed: February 10, 2009.World Drug Report 2008. United Nations Office on Drugs and Crime. Accessed: December 2, 2008. Robinson, Rowan. 1996. The Great Book of Hemp: The Complete Guide to the Environmental, Commercial, and Medicinal Uses of the World’s Most Extraordinary Plant. Rochester, VT: Park Street Press. If you have anxiety...you need marijuana in your life. Now, depending on the level of trauma some folks are living with today, could determine what amount of healing/therapy they might need in addition to using Mj, but I promise promise promise this is the healing power of the Earth people, not a drug or narcotic, but a relaxing-ish herb. I felt like I was about to lose my mind today. And I seriously do not have problems. I have made up worries and overwhelming doubt and hormones and such...but I do not know how to deal with anxiety very well at all. Journaling kind of helps. Talking to a friend kind of helps. But nothing helps me in the depth of my soul and mind more than vaporizing/puffing Mj. I promise you as one millennial mother to another, growing up in this land of chaos and privilege, we have never really truly known the hardships of life, most of us, and it makes us kind of... anxiety-ridden. How or why I'm not sure...but we grew up in a haze of like, seriously, the Jetson's coming to life... from once whence upon a thought of the "totally impossible" future. But then it came. In the 90's. So I'm talking to you guys who just get it, who aren't out trying to harm others, whom just want to live a good, peaceful, happy life in the quiet of your home. I promise, put down the pipe or needle or bottle, never pick those up, and instead only only pick up a happy pipe full of earth's natural grass... marijuana aka~ bud aka cannabis aka a million other names for. I would go back to my 17-year-old self, the one whom was actually at one point looking to 'feel better' and asked a couple friends what she could 'take to feel better,' and was told, "just smoke weed." But what if they hadn't? What if they'd said something else? Maybe I would've tried it! I just got lucky. So now, I would say No No, No drugs or drinking or ciggs...... just smoke or vape weed, just like she said... in her honor just smoke weed and never ever ever, ever try anything else. I never tried anything else...and my life is still a big mess! I would imagine hard drugs or alcoholism could only worsen everything. It's all seriously the devil I'm afraid. I honestly believe. I had to share. My mom has cancer and it's been a hard few months. I want to end with this poem by anonymous...because above all, I believe Marijuana helps us be better parents, and I think God put it on this Earth for us to use. I'm so thankful for all of those who have fought to find out the truth and put an end to the false imprisonments and hardships banning cannabis has caused this country...world... I wish for the peace to all which cannabis can bring, a closeness to God... and of course no one would want that who desires us to fail... of course not. So the voices speak out, and continue to do so when and where we can, as we stand together and unite. Happy 420. When you have freedom and time,And nothing in particular to worry about. 420, Aunt Mary, baby, bobby, boom, bud, cannabis, chira, chronic, dank, ditch, ganja, grass, greens, hash, herb, indica, kush, mersh, Mary Jane, Pot, reefer, root, sativa, skunk, stack, thc, torch, weed and zambi. As An Introvert - Marijuana Gets Me Motivated. How many deaths are caused by Marijuana? 1850 - 1942 was cool..